Call or text agent Lori Caldwell @605-641-7529. 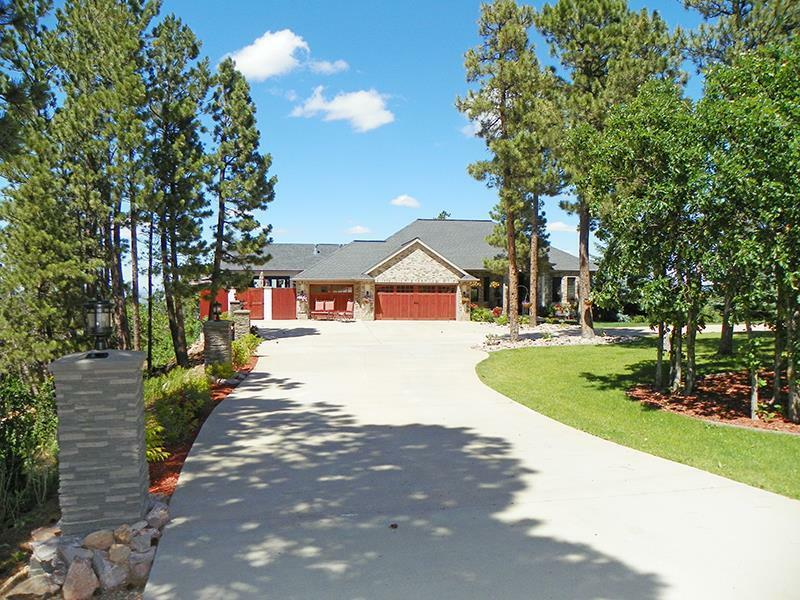 Surround yourself in luxury mountain-esque living in this 4 bedroom, 3.5 bath home on over 12 acres located within 4 miles of downtown Spearfish. Enjoy the 360 degree panoramic views of the surrounding Black Hills and prairies, including Crow Peak, Lookout Mountain, and the night lights of Spearfish from above. Relax in the "you&apos;ve just got to see it" 3-seasons room with a fireplace, huge stainless steel grill & fridges, and glass doors on 3 sides that provide open air access to decks on 3 sides of the house. Get lost in the beauty surrounding you on each of the 4 maintenance free decks totaling over 2,100 sq ft of outdoor living space, including 1 deck with a waterfall and granite seating area, and another with a hot tub. Indoors offers a spacious dream kitchen with a large island and granite counter tops perfect for meal preparation, incredible entertainment areas throughout the home, and plenty of areas to relax in tranquil luxury. Basement/Substruct: Partial Basement, Walkout, Partial Finished, Poured Concrete Fd.